An Era is ending – a new story begins! We are proud to present the result of hard work and careful listening to our customers. 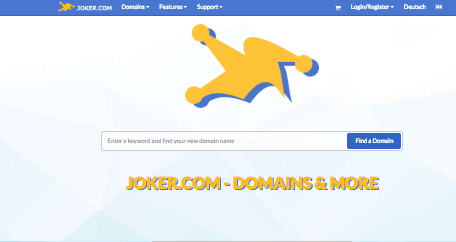 Welcome to the NEW Joker.com! We hope you will enjoy the new look and feel as much as we do – please tell us what you think. The new layout not only enables us to present all functionalities in a much more intuitive way, it now also makes mobile devices work as well, and harmonizes with modern browsers. Please let us know if anything doesn’t work as expected.